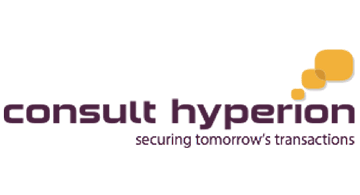 Consult Hyperion is an independent strategicand technical consultancy, based in the UK and US, specialising in secureelectronic transactions. With over 30 years’ experience, we help organisationsaround the world exploit new technologies to secure electronic payments andidentity transaction services. From mobile payments and chip & PIN, tocontactless ticketing and smart identity cards, we deliver value to our clientsby supporting them in delivering their strategy. We offer advisory services andtechnical consultancy using a practical approach and expert knowledge of relevanttechnologies. Hyperlab, our inhouse software development and testing team,further supports our globally recognised expertise at every step in theelectronic transaction value chain, from authentication, access and networks,to databases and applications.